The Big Buddha at Ngong Ping. Hard to show the scale of how big it is, but this shot was taken from pretty far away. 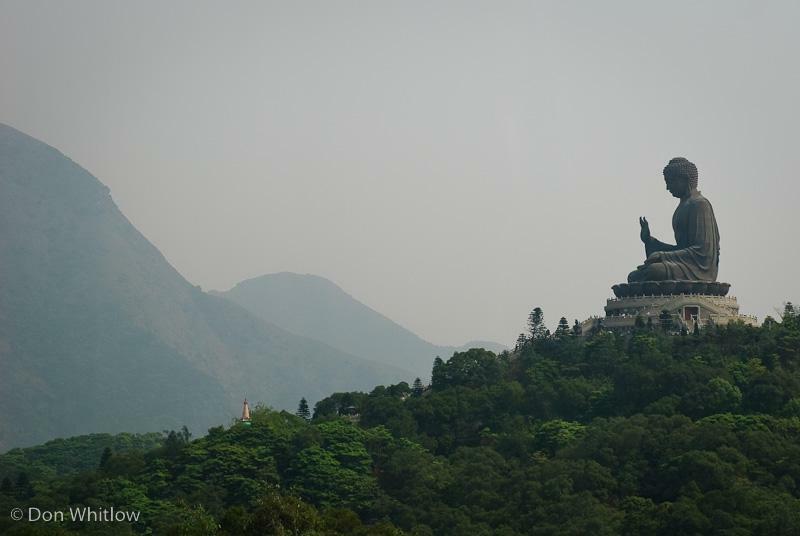 You take an amazing cable car ride to the peak where the Buddha is located and then another 268 steps up the Buddha itself. If nothing else, it’s a good workout getting there.